Pink pepper is not “pepper” as we traditionally think of it, as it doesn’t come from a peppercorn. 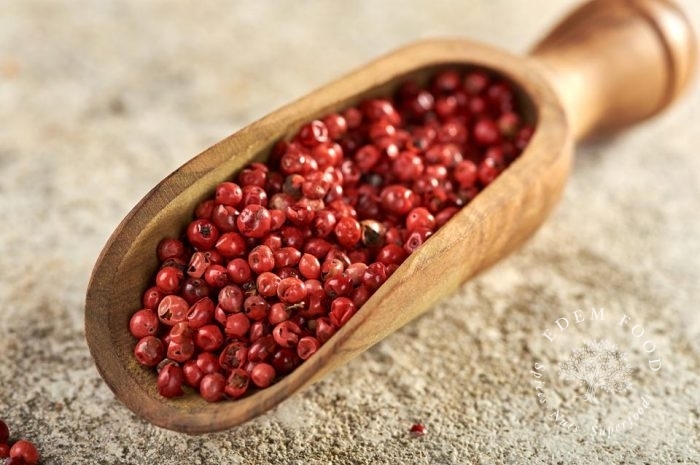 Sourced from Madagascar, pink pepper is the dried, ground berry of the Brazilian pepper tree and offers a lighter flavor than black or white pepper. Its mild flavor and pretty color makes it a lovely addition to sauces for fish, poultry, and other lighter dishes.